Rock legends KING’S X have announced that they are entering the studio to record their highly-anticipated new album – the first to be released in over a decade – scheduled to drop this year via Australia’s leading international independent record label, Golden Robot Records. 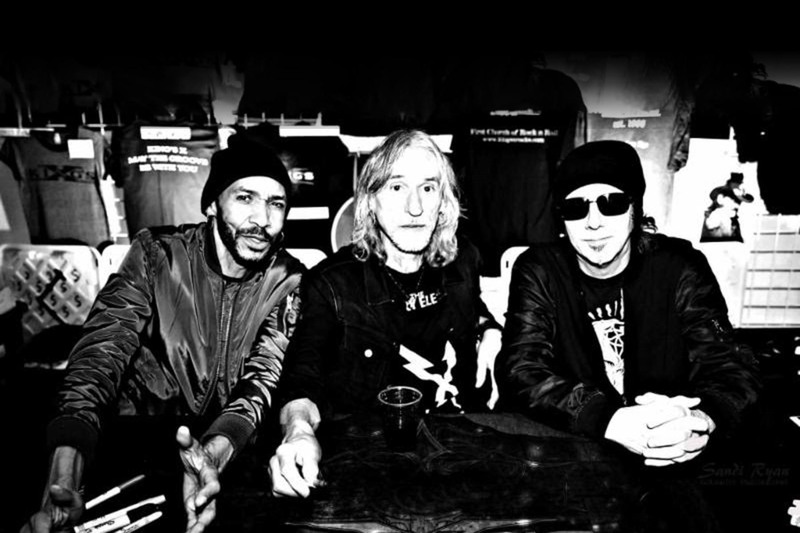 The label announced their global signing of KING’S X in December. Today, KING’S X enters Blacksound Studio in Pasadena, California with renowned producer Michael Parnin – recognized for his work with a varied range of artists, from Rage Against the Machine and Missy Elliott, to Andrew Lloyd Webber and Barbara Streisand. Featuring vocalist and bassist Doug Pinnick, guitarist Ty Tabor and drummer Jerry Gaskill, KING’S X have never changed their line-up, a rarity in the music world and a testament to the band and musicians and friends. Critically acclaimed from the start, KING’S X are musician’s musicians, name-dropped by everyone from Anthrax and Suicidal Tendencies to Iron Maiden and Blue Murder for their instrumental prowess. Pearl Jam’s bassist Jeff Ament even declared that “KING’S X invented grunge“. They also enjoyed a long life via the David Letterman Show with their track, “We Were Born To Be Loved” (from 1990’s Faith Hope Love), also a favorite of the Paul Shaffer’s CBS Orchestra to play during commercial breaks.